96% of Snail Secretion Filtrate contained in essence enhances damaged skins and improves skin elasticity. Real Power Essence raising the innate strength of the skin. 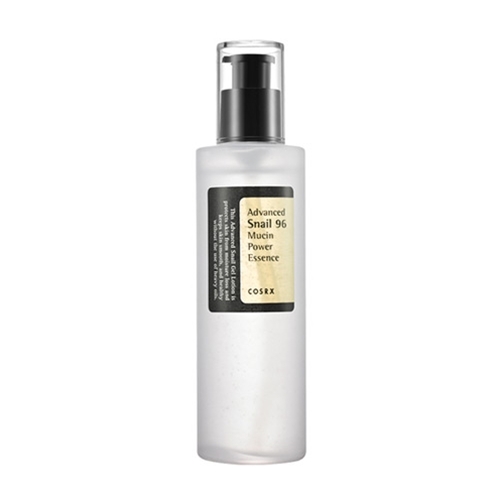 Advanced Snail 96 Mucin Power Essence is created from nutritious, low-stimulation filtered snail mucin and other great ingredients, in order to improve damaged skin. The filtered snail mucin contained in Advanced Snail 96 Mucin Power Essence penetrates under the skin into the invisible, working against damaged skin. This 96%-concentrate ingredient keeps you skin moist all day and finds your lost skin vitality.